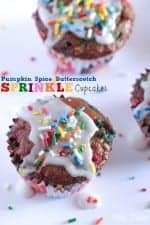 These Pumpkin Spice Butterscotch Sprinkle Cupcakes make the perfect Holiday cupcake for any party! So happy to be celebrating Jessica of How Sweet Eats today! 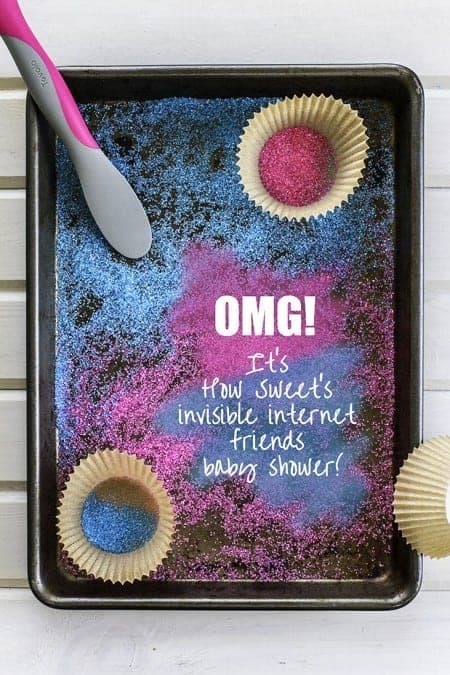 Today is a celebration for her virtual baby shower, yay!! Can’t wait to see her sweet baby! Break out your favorite cupcake liners and get baking these Fall fabulous treats! Fun, sweet and perfect for any party! Hope you enjoy! 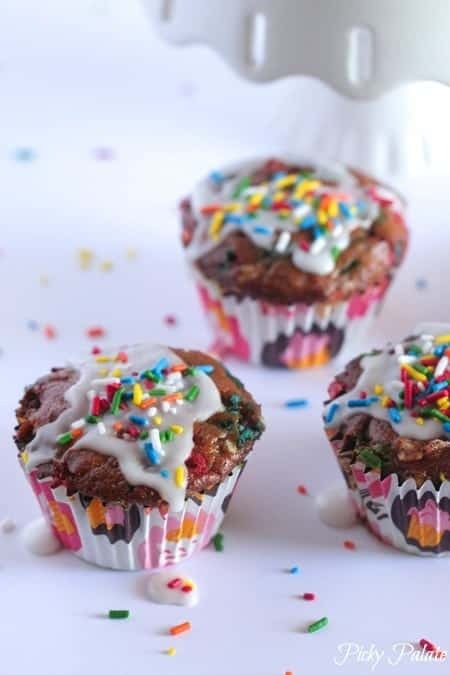 Preheat oven to 350 degrees F. and line 18 cupcake cups with liners (foil liners recommended). If using paper liners, spray liners lightly with cooking spray before filling with batter. In a large mixing bowl, beat yogurt, eggs and vanilla until well combined. Stir in pumpkin and cinnamon. Slowly add flour, sugar, baking soda,salt and 1/4 cup sprinkles, stirring until well combined. Stir in chips then fill liners 1/2 full with batter. Bake for 28-33 minutes, or until baked though. Remove and let cool. 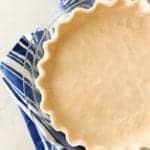 To prepare icing, whisk powdered sugar and cream until creamy and drizzling consistency. Add additional cream as needed. 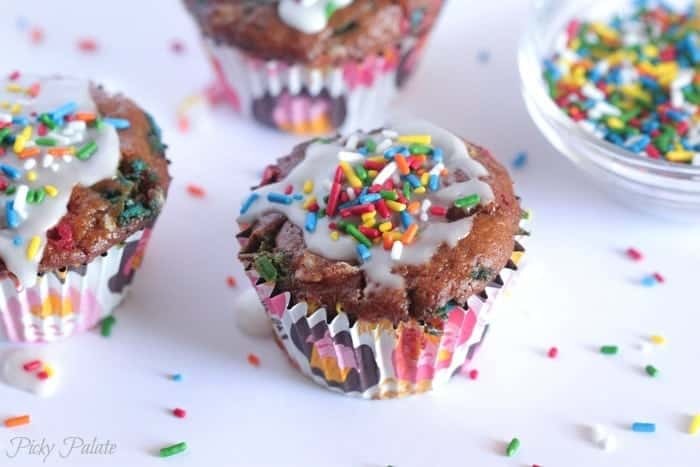 Drizzle over cooled cupcakes then sprinkle with sprinkles. Click HERE to see more amazing recipes from the baby shower! Colorful Easter Egg Layered Cake! These are so fun!!! Loving your new headshot photos btw! Yummy…and SO cute! Yay, sprinkles! Yay, Jessica! 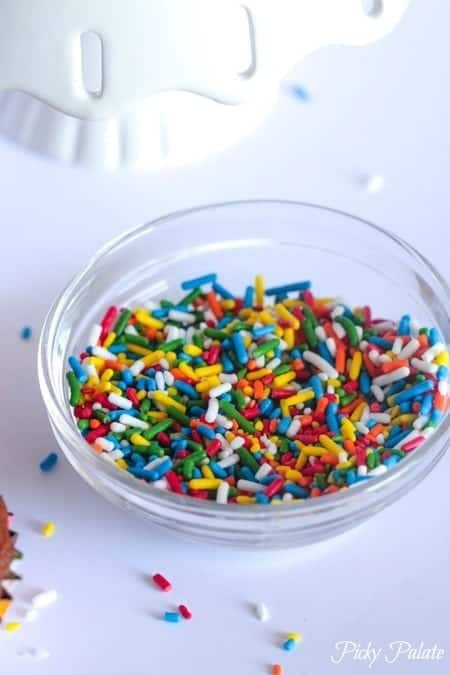 These look like the perfect way to celebrate Jess – because well SPRINKLES!!! the sprinkles! YOU KNOW ME. Love these Jenny!! They’re just so JESS!! Whoa…now those are some festive cupcakes – perfect for Jess’ shower! Butterscotch and pumpkin sound like the perfect combo. OMGGGGG yesss! Girl, thank you so much for being a part of this. xoxox! So cute and colorful, Jenny! I am loving the pumpkin and butterscotch combo in these fun cupcakes! The sprinkles are the perfect touch!!! How cute are these?! So fun!! I love this flavor combo! I LOVE how cheerful these look, and not to mention, the cupcakes itself is delicious in flavor! Pumpkin + butterscotch are two of my favorite things!! These sound fantastic. Thanks for joining Jess’s shower!